Hier ein Auszug aus einer längeren Arbeit für das Lithuanian Free Market Institute (Lietuvos laisvos rinkos institutas), einer privaten Wirtschaftsforschungseinrichtung in Vilnius, zum Thema, „scarcity“ – Mangel oder Knappheit. Being called to work, human beings are also encouraged to express their God given creativity. This word of Latin origin is certainly not found in the Bible (our modern usage has its roots in the Enlightenment). In ancient times terms like the Greek techne, skilful knowledge and art, or phronesis, practical wisdom, had been used. God, too, is revealed as the most wise Creator, personified Wisdom is standing “at his side” (Prov 8:30). All of God‘s works in creation and providence reveal his wisdom and creativity. In the Bible wisdom is accentuated many times; it means knowing how to do things in changing circumstances. This clearly implies creativity because situations have to be evaluated differently; facing new challenges very often new and creative answers have to be found. This is true for the Bible itself. The various authors of the biblical books have spoken to so diverse audiences in different situations that the Holy Scriptures themselves reflect an astonishing literary creativity. Being made in God‘s image involves “the capacity to understand, to grasp, to reflect, and to arrange” what God has revealed in creation. When we start to reflect on these thoughts of God, sciences arise, Abraham Kuyper (1837–1920) says (Wisdom&Wonder: Common Grace in Science&Art). Without sin, he continues, there would not have been a state (using force to punish criminals and to defend citizens from aggression) and the church (proclaiming an answer to sin), but there would have been science. And it started in the Garden. To be able to name the animals the first humans had to study their character and do research; they needed power to distinguish, imagination and creativity – a rudimentary kind of science emerged. We have to remember that Augustine wrote these lines about 1600 years ago. What would he say today, after two centuries of numerous and even more fascinating inventions? Would he not marvel at all these achievements of modern science and technology? Should we not revel in the fruits of human creative spirit? Theologians can take an example of Augustine. This is all the more true because theology as a discipline also requires a creative mind. We can define theology, following John M. Frame, as the application of God‘s Word to all areas of life. Believers are not called to blind and mindless repetition of eternal truths; God wants us to creatively implement His law and will for us in ever-changing situations. Unfortunately, theologians rarely elaborate on this point in the context of economy. Christopher J.H. Wright mentions the “ingenuity and adaptability God gave to human beings” in his ethics of the OT; “humanity has always had a built-in potential to produce material goods beyond what is needed for immediate survival” (Old Testament Ethics for the People of God). But that is all we get on 500 pages about the human genius of imagination, productive creation and creativity. Too quickly the industrialization and technological advance are only seen from the perspective of a fallen world. Says Wright in almost patronizing manner, “they [industry, technology] may not be in themselves sinful… but”. This “but” is very strong, and thus our human creative mind is immoderately minimized. No wonder that there is almost no textbook of Christian ethics which provides us with a well-founded theology of technology and creativity. This is a very serious omission with wide-ranging consequences. Human beings always retain ‘immature’ characteristics; they continuously develop, grow in knowledge, experience and skills. Seen from a purely biological perspective humans are relatively weak in physical terms; bodily they reach a certain completeness as adults. But our main asset, our most distinguishing feature as humans, is our ability to think, imagine and create. This is what keeps us open and in dialogue with our environment. Even if the theory of evolution were true, biological adaption takes long periods of time. Yet through our faculty of reasoning we interact with culture and do change all the time. This fundamental openness and ever becoming is not a result of sin; in principle change is not evil. Jesus‘ life confirms this truth too. In Lk 2:52 it is said that he “grew in wisdom”. He was not incarnated as a perfect, immediately adult male. In a direct way he embodied our interaction with the world and our growing in knowledge and practical wisdom. Having said all this, we now turn again to the subject of scarcity. Our understanding and wisdom can progressively increase, because we believe in a conscious and rational supernatural Creator – a person who can be understood; and because the created world itself reveals this rational God, it also can be explored with our mind. Yet, due to our being created human, knowledge will always be imperfect or not absolute. Did Adam in the Garden possess perfect knowledge? All his acting and thinking was perfect only in a moral sense; before the fall it was not tainted by sin. But obviously God did not implant into his brain all-embracing knowledge. He still was facing many challenges of how to cultivate the Garden and to subdue the whole earth. In other words, he had to generate ideas, many ideas; and it simply is not plausible that God would have directly revealed most of these to him. Until today one main result of our mental activity are ideas, new ideas, creative ideas, better and better ideas. And there are never enough good ideas! Adam had some, we have more, and yet it‘s not enough. Who would dare to say “enough of these ideas”? We still do not have the totality of good ideas. The same is true in theology: We do have the infallible and inerrant Word of God, but our understanding of it will always remain open to improvement. We must not forget that the most fundamental reality is personality, the Absolute Person, God. Human beings as made in God‘s image are persons too. Our body is an integral part of our personality (see above) and must not be despised. Rather the body connects us more with the rest of creation; animals have bodies as we do. Having a creative mind is common to God and us only (animals possess a kind of prudence but they lack the most important tool of creativity: language). Hence one of the best ways to express our likeness to God is to be active with our mind and generate ideas. Stressing divine-like reason (or Reason) the ancient Greek thinkers were grasping something true (the importance of mind), but they did not adequately reconnect thinking with our material world. The ideal was the gods contemplating themselves, and the most important occupation of the philosophers was speculating about the higher things of the soul. Aristotle started to move in the right direction (turning more than Plato to the visible world). But in the long run only the Jewish-Christian worldview gave birth to applied science and technology which – and this is most important – kept themselves going forward and forward. The Chinese and Romans, as we know, invented many things (even the most until about 1700), but in Christian Europe the idea of invention was born, the idea of constant and growing progress. Unique to a biblical mindset is the conviction that it is pleasing to God to produce ideas and apply these to the material world, to the ground, to dust and dirt. Because we are called to work this ground, to cultivate the visible world, we must not remain in ivory towers and constantly meditate heavenly things; our calling is to get dirty hands and feet (following the example of Jesus himself who spent many years in Joseph‘s workshop, then preaching for only three years). Adam, the ‘earthling,’ was taken from earth, adamah, therefore dirty work on the ground is natural. We constantly handle matter. And the most concrete thing to accomplish this is the invention of tools. These are transformed ideas which in turn transform the material world. For all these reasons good ideas are scarce and will always be so. There is no end of this kind of scarcity in sight. We still can do better, all the time! Ideas are our main resource, and the lack of good ideas will ever be with us. Two years later Novak‘s The Catholic Ethic and the Spirit of Capitalism was published, and there he stressed that capitalism, on the one hand, is grounded on our capacities for creativity and community; on the other hand, capitalism further promotes creativity. We only have to make sure that institutions are put in place which liberate and empower that natural human creativity. Rodney Stark also notes that “it was invention that constituted the success of the West.” (The Victory of Reason) More and more the conviction took root that in the long run economic growth is not possible through stealing and plundering and the exploitation of slaves. A mindset of robbing makes sense in a narrative of abundance: others have more than enough, so let‘s take it away from them. Scarcity, on the other hand, conspires with creativity “to get us to the next level, to the next resource or the next technological breakthrough. Necessity is indeed the mother of invention, but a human creator is the father”, says Richards (Money, Greed, and God). Obviously, there is on earth an abundance of grasses with their fruits, the caryopses. Yet it took human creativity to cultivate wheat, corn, rice. We pray for our daily bread (Mt 6:11), but it usually does not fall from down heaven (with the exception of Manna to the Israelites in the desert, see Ex 16:31). The most natural thing like bread had to be invented! And this process is open to improvement (one of the most important was baking with yeast). Baking bread was made popular in Europe by the Romans. Bread-making needs flour, and this has to be ground. A big step forward in the production of food was the inventions of mills. The Romans came up with the rotary hand-mill, older are horse mills and watermills, later windmills were invented. The need to produce more and better food triggered off a whole range of ideas. There is also an abundance of iron in the ground, the same is true for coal. But it took centuries to see that it is a far superior fuel than wood, that we can make coke out of coal, enhancing even the energetic proprieties of this mineral. The first blast furnaces were invented in the middle ages, but cast-iron was used for construction only from the late 18th century on; high-quality steel had to wait for Henry Bessemer‘s converter in the 19th century. New ideas brought about new needs which encouraged new inventions. More and more coal was needed, and this scarcity made James Watt think about an improved steam engine. His machine of 1769 changed history. In 1831 M. Faraday‘s electrical generator followed and in 1884 the power machine which still lights our nights, C. Parsons‘ steam turbine. For thousands of years crude oil lay in the ground unexploited. Again, there was enough, a sheer abundance, but until recently – in historical dimensions – we had no, or almost no, idea what to do with “naphtha” or petroleum. 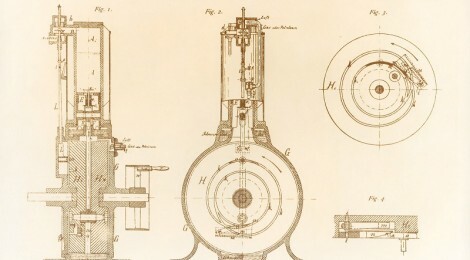 This radically changed only in the middle of the 19th century and gave us a whole range of new products like gasoline, kerosene, then derived from these petrochemicals and our whole world of synthetic plastics, starting with Bakelite and celluloid, later polystyrene, polyamide, polyester, and on it goes. No doubt the gifts of life are given by a generous God. But his greatest gift to us, our ultimate resource, is our creative mind, and therefore we very rarely just take raw materials – we create products or commodities, and so He provides us with all we need through ever expanding new ideas and products. McCloskey is convinced that mainly discovery and innovations made us rich – ideas put into practice. She even prefers “innovation” to “capitalism” and “humanomics” to “economics”, underlining that economics first goes about in our heads. The Industrial Revolution was sparked by the way people thought and spoke, by a new liberty and dignity of the inventive people, for the bourgeois or the middle class (This is the subject of McCloskey‘s Bourgeois Dignity: Why Economics Can’t Explain the Modern World). First in north-western Europe from the 17th century on the former hierarchical structure of society started to change and give way to more horizontal or egalitarian relationships. Ancient constraints were released, and all this resulted in political and societal freedom the world has never seen before. Freedom was the condition, and then ideas could start breeding. Because freedom was beginning to be widely implemented, Europe (and North-America) left the equally prospering and inventive China and India behind. McCloskey uses various illustrations like the ice hockey stick for the Great Enrichment. Another picture for the same phenomenon is a tide: the rise of income per head in history is like the rising of water on a shore. What economists are usually proud of (the “hard stuff” and how it works) analyses just what the water is doing in the sand of the shore. But the tide itself has to be explained, and in the end, it is ideas, ideas and ideas, the human spirit, ethics and our talking about ideas.